Machu Picchu One day Tour From Cusco. Kenko Adventures has the best option to visit Machu Picchu ruins with an excellent service; our adventure starts in Cusco with a briefing by our professional guides. Our service starts with the pick up from your hotel in Cusco city and then drive to Poroy train station which is only 25 mins away from Cusco and then board your Vistadome class train (07:30 am) towards Aguas Calientes town which takes approximately 3.30 hours, our visitors will enjoy a comfortable trip with amazing landscapes of Valleys and mountains which belong to little towns that we have in our region, we will reach to Sacred Valley of the incas and appreciate stunning views of the mountain chain of Peruvian Andes as well as glaciers considered protectors of these valleys. Finally we will arrive to the tropical forests of jungle area in which we will have a lot of different wildlife and abundant flora and fauna, reaching Aguas Calientes town in which our train ride will finish, from here our visitors will board the bus (25 mins) to Machu Picchu citadel. Our clients will take a private guided tour for 2 hours approx. inside the ruins and by our expert guide, then you will have some free time to visit other important places or just enjoy your time there and take memorable photos. Once you had finished the visit, our customers will take the return bus back to Aguas Calientes town, from here you will board the train back to Ollantaytambo train station and our transfer will be awaiting for you and translate you to Cusco city and towards your hotel. Private Walking tour in Machu Picchu. Private transfer from Ollantaytambo train station to Cusco. End of our service is at your hotel in Cusco. Professional bilingual guide well trained in adventure tourism. 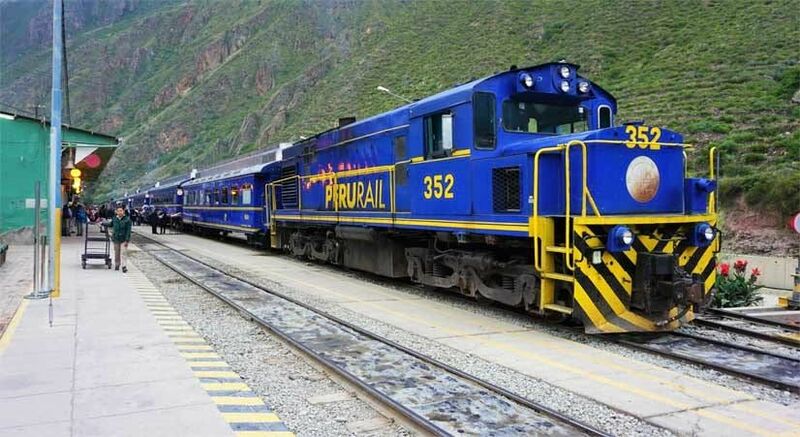 Pick up from your Cusco hotel at 06:30 am and transport to Poroy train station. 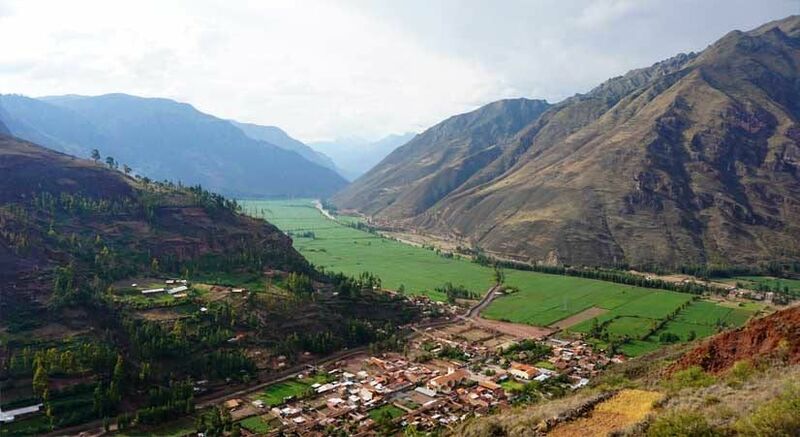 Transportation by train to Sacred Valley of the Incas and then to Aguas Calientes town. Transportation by bus up and down from Aguas Calientes town to machupicchu then to aguas calientes town. Transfer from Ollantaytambo train station back to your Cusco hotel. Briefing service 2 or 1 days prior the tour, by your guide. Our price $ 377 USD per person for 2 people. Our price $ 357 USD per person for 3 people. Our price $ 337 USD per person for 4 or more people. You will be welcomed at Cusco airport and we drive you to your hotel, please send us the information about flight details at least 14 days prior to your trek. Look out for our representative holding an KENKO ADVENTURES logo at the arrival terminal. It can be done on any date that is best suited to you! you can make a deposit in our Bank account at Interbank. It could be greatly appreciated if our clients pay in cash at your briefing time in the hotel (US dollars or Peruvian soles) here in Cusco. We have many cash machines in the historical center to withdraw money. You can also pay by PAYPAL online but you will have to pay a 5.5% service charge, charged by PAYPAL. To pay your balance through PAYPAL, you need to log into your PAYPAL account using our email address of info@kenkoadventures.com. students from 12 to 17 years old, they get discount of $00. children from age of 2 to 12 they get discount of $00. The ISIC Student can get Discount of US$ 00.